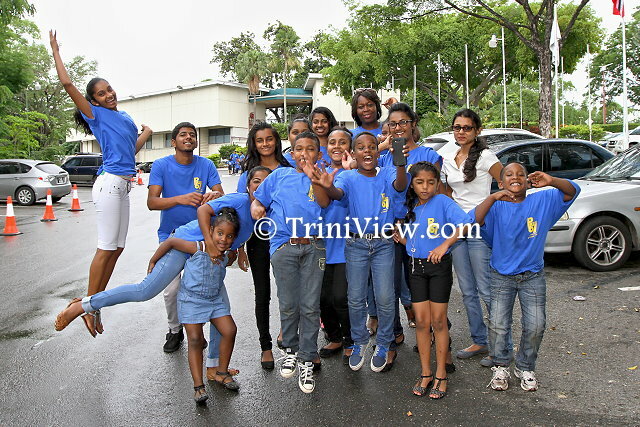 On Saturday 18th July, 2015, the sunshine that persistently peeped through the overcast skies may have brightened the day for the children and youth from the Trinidad and Tobago Hope Centre, San Fernando, but the “Posse 67 Children’s Day” event brought the joy that put the smiles on their faces. 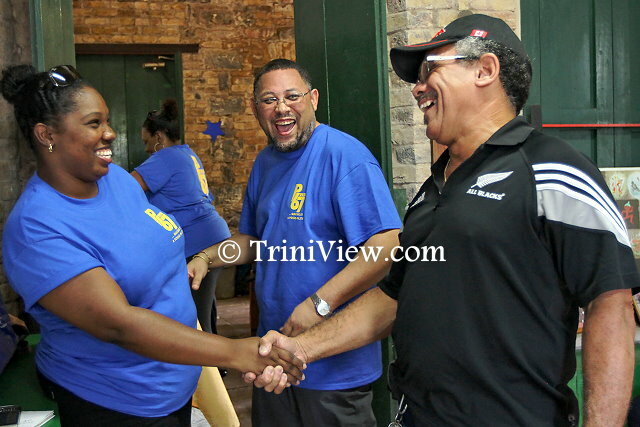 This event was hosted in commemoration of the Nelson Mandela International Day by Posse 67, one of Trinidad and Tobago’s recognized volunteer organizations. 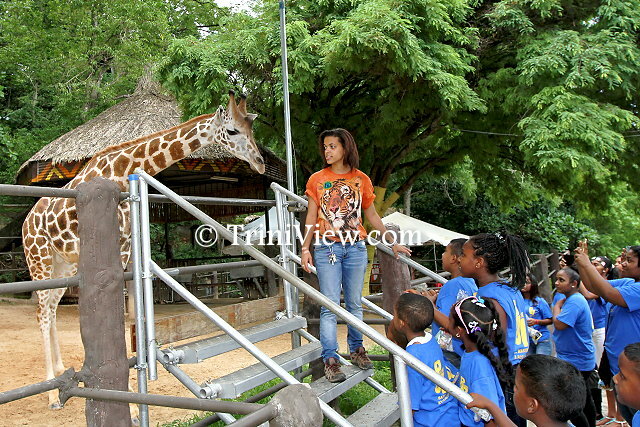 The day’s activities included a visit to the Emperor Valley Zoo, lunch at the Port of Spain Girl Guides Headquarters which was used as a base for the day, and a visit to the Hilton Hotel. In 2009, one year after Nelson Mandela’s idea to have a Mandela Day, the United Nations officially declared the day of his birthday 18th July, the Nelson Mandela International Day in recognition of the sixty-seven years of his life he gave to public service. Citizens across the globe have been encouraged to dedicate sixty-seven minutes of their time to do volunteer work in the areas of infrastructure and improvement of the lives of people. Posse 67 is an organization that was founded based on the principles of the Nelson Mandela International Day, sixty-seven minutes of service. 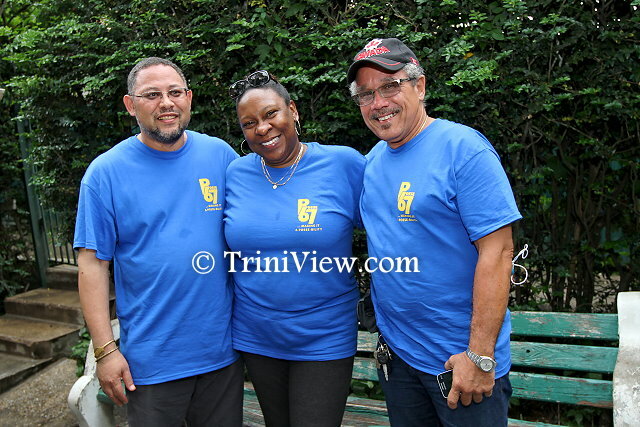 The name was born from the idea of a group (posse) of Trinbagonians doing volunteer projects for a minimum of sixty-seven (67) minutes. 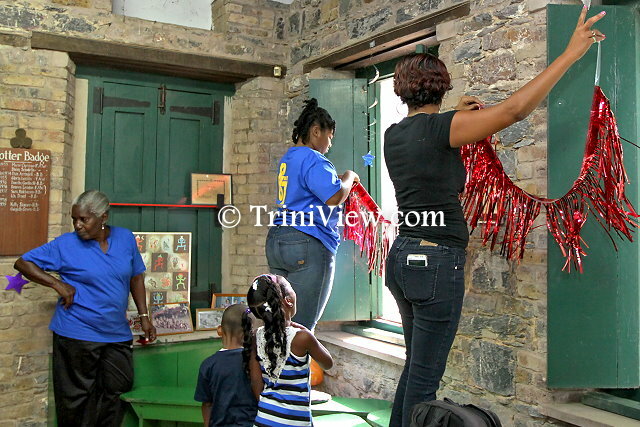 “Many Trinidadians want to volunteer their time and their efforts but don’t know or don’t have a vehicle. Posse 67 was formed as an organization where like-minded people can come together where various projects get initiated and through the membership, people then have access to volunteer projects where they can offer their time and services doing good projects in the community. “One of the projects that we also considered for today was going to a facility for senior citizens and pampering them for a day with manicures, haircuts … just interacting with them. When we put the two projects, focus on the children or focus on the senior citizens. The overwhelming majority of members felt that the latter years of Nelson Mandela’s service revolved around children, so that is why for today, we are focusing on the children. We have chosen a home that caters for abused and abandoned children. The project for the senior citizens will be held later in the year. We have brought them out to [take them to] the Emperor Valley Zoo and then we are going across to the Hilton Hotel. When Nelson Mandela visited Trinidad in 2004, he stayed at the Hilton Hotel and he also planted a grapefruit tree at the hotel. We are taking the children to see that tree. I will be going through the life of Nelson Mandela and highlighting lessons that people can take from Nelson Mandela’s life and illustrating it with the activities. It was a well-coordinated event and in spite of the inclement weather, the day ended successfully. 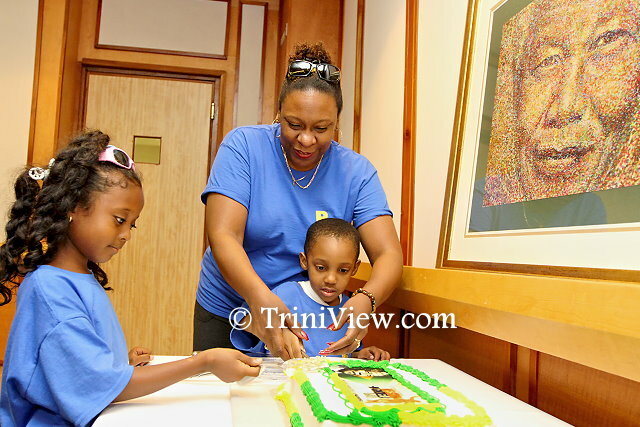 On Saturday 18th July, 2015, Richard Critchlow was present at the Posse 67 Children’s Day event. 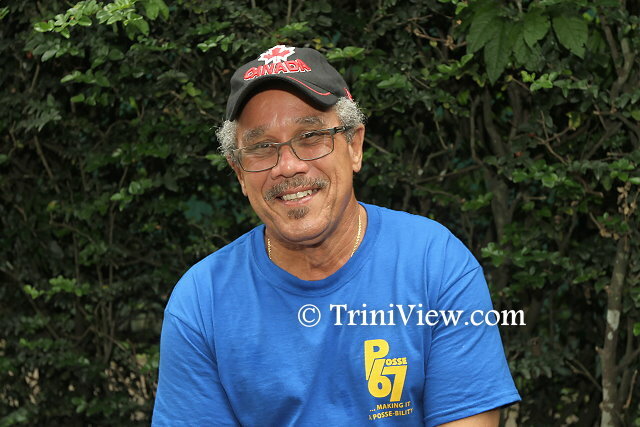 Mr. Critchlow, who is one of the directors of the Yahweh Foundation, Buccoo Road, Toabgo and a member of Posse 67, a Trinidad and Tobago volunteer organization, was eager to share with TriniView.com some light on the functions and his involvement with the organizations. 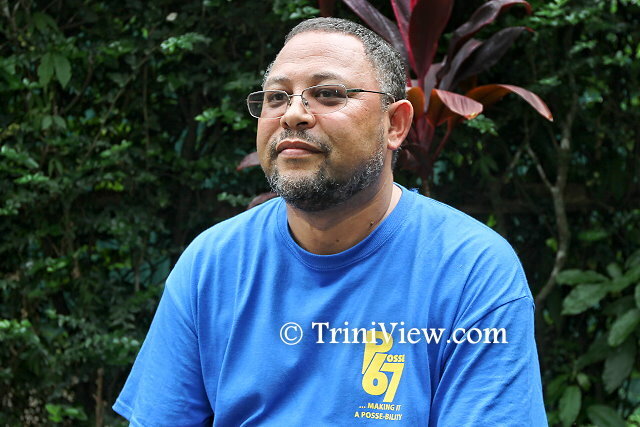 RICHARD CRITCHLOW: I live in Tobago and I am one of the directors of the Yahweh Foundation. I have now joined Posse 67 … joined with a smile. How that came to pass: Beverly called me in Tobago one day and said they wanted to make a donation to the Yahwah Foundation. Nobody calls and tells you they want to give you money; nobody does it. Beverly said, “Posse 67 wants to do this.” I had never even heard of Posse 67. I said I will get back to her because I had to check out what was going on with Posse 67 … who are they? So they said to me, “Just research it on TriniView on the internet.” Well, when I saw what TriniView was about, I felt embarrassment. I had to call back Berverly and apologize because everything started to make sense. And you know what? That is one of the best things that has happened to us at the Yahwah Foundation. Posse 67 sort of adopted us and when we started to get to know Berverly and Roland and exactly what they were about, there was no turning back. I immediately felt as though that this was something I will enjoy being a part of even though they hadn’t come to Tobago yet. A couple months later, Roland calls me and tells me he heard that we normally do a little Christmas party and they wanted to help us with it and be a part of it. Yeah right! Posse 67 almost took over the show. It was amazing. Four of them came over, Beverly and Roland the leaders of the group [included], and this was a party that the kids will never forget. 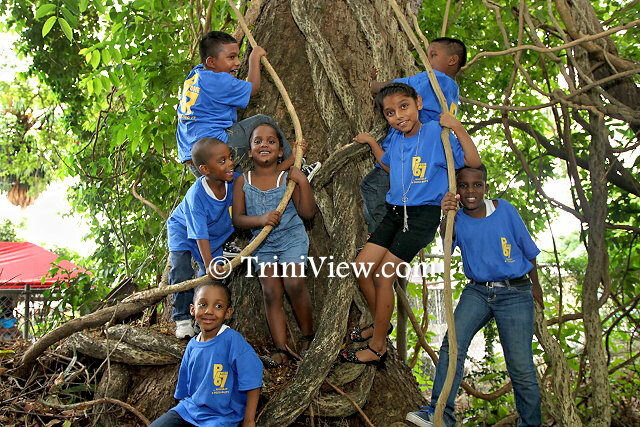 The Yahwah Foundation started in Tobago two and a half years ago. We are now into the third year. When we started the foundation the whole idea was to touch and make a difference in the lives of the at risk kids. We went into the Buccoo village first. You see, kids there that are left behind because of circumstances at home … kids who have come from difficult homes for many different reasons, and we wanted to make a difference in their lives and let them see that there are people who care. The Yahwah Foundation has grown by leaps and bounds since we started. But also, we found that seniors, people who would be my parents age and older, have been left behind. They just leave them home to sit and watch television. It makes no sense; they have so much to offer. We decided that we wanted to get them out of their homes … get them out with their peers and get them back into circulation. The one thing that I enjoy is interacting with the elderly; that is something I am very passionate about. They have so much to offer … so much you can learn. And what makes the difference in their lives is that they enjoy telling you about what their lives were like when they were kids growing up and the fun they had with so little. We make a fuss about things that make no sense when you think about it. But now that they have come back into circulation, they have said to us, and they have actually said this out loud in public, that they feel as though they are doing something positive; they feel as though their lives are now filled and they totally enjoy being part of the Yahwah Foundation. We are not affiliated with any church. But the whole idea is being our brother’s keeper and now we have started a new programme where the children and the senior interact once a month: intergenerational afternoon … We see so much of a difference in the lives of the children in particular. Children that most people would have thought were not worth the effort … whatever that is supposed to mean. No one is not worth the effort … absolutely no one. Children who were approaching SEA age could not read nor write. Do you know that in three years, every year that the SEA kids in our charge did the exam, we have had one hundred percent passes? The teachers and the principals in the schools wonder what has happened. But it doesn’t take a whole lot. It just takes a little nurturing, a little care and attention. I have seen that with Posse 67 and that is why it is so important to me. That is why I felt that it was something I wanted to be a part of and I have joined. I want Posse 67 to come to Tobago which is something I am looking forward too. God bless Roland and Beverly and all the others in Posse 67. They enjoy what they are doing; it is obvious, but the ones who benefit from it … if they see what we see on our end. It’s just blessings; it’s wonderful. I hope that never shuts down. I am looking at the children here today who were at the zoo … the excitement in their lives … in their hearts, just looking at the animals and being free to walk about and do whatever they want. To me, that is what life is about. It’s not about having a whole lot of money and a whole lot of possessions, it’s about making a difference, and it’s about seeing the children enjoying themselves. It does not take a whole lot. The Yahweh Foundation is an NGO and everything that goes on there is voluntary. It is a properly constituted organization. The directors are all seniors who are definitely interested in the welfare of the children and adults and thought that they want to be part of it. The volunteers and the helpers come out … and I mean exactly what I say, to serve the seniors in the mornings; it’s just a lot of fun. The volunteers that come out in the afternoon with the kids, it comes from their hearts and you can see it. You can see the interaction with the children that they feel as though this is their calling. You don’t have to ask a question; you can see it and the response from the children. I tell you, if you want to know whether someone is genuine or if you want to know whether what you are doing is making sense, look at the expressions on the faces of children, the ones you are interacting with. Children know and children feel and we are very, very proud of what we are doing.